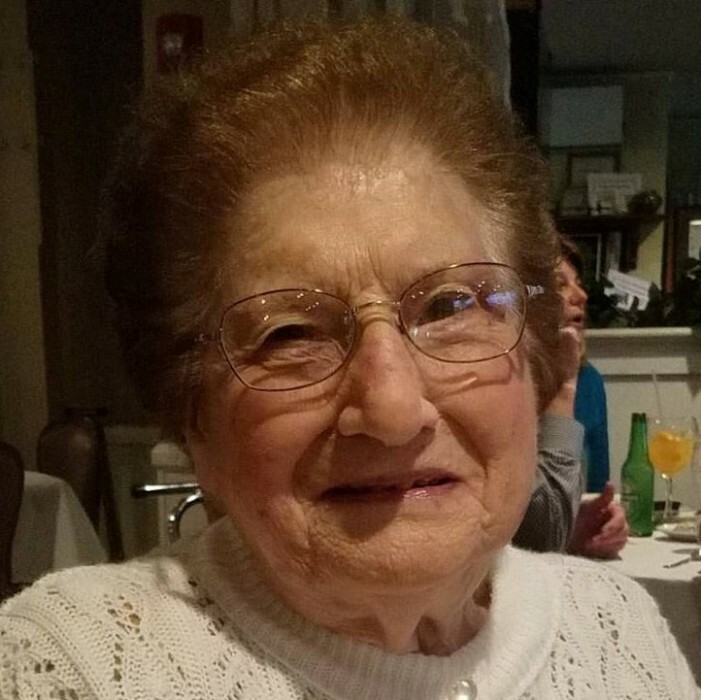 Josephine T. Lanzilotti, 91, nee Nuzzi of Marlton, NJ passed away Wednesday April 4, 2018 at the Samaritan Hospice in Mt. Holly, NJ. Born in Philadelphia, PA, Josephine was a longtime South Jersey resident. She was a homemaker most of her life and was an active member of the St. Margaret now Infant Jesus Parish in Woodbury Hts. She is survived by her loving daughter Angela Frangella and her husband Tom. Her two beloved grandchildren Matt and Nicole Frangella . Relatives and friends are invited to celebrate a Mass of Christian Burial Monday April 9, 2018 at 10 AM at the St. Isaac Joques Parish 349 Evesboro-Medford Rd Marlton, NJ 08053 where a viewing will be held from 845 - 945 AM Monday at the church. Interment will follow at the Holy Cross Cemetery, Yeadon, PA.